The force was with Jay Shuster, and he rode it all the way to Hollywood. 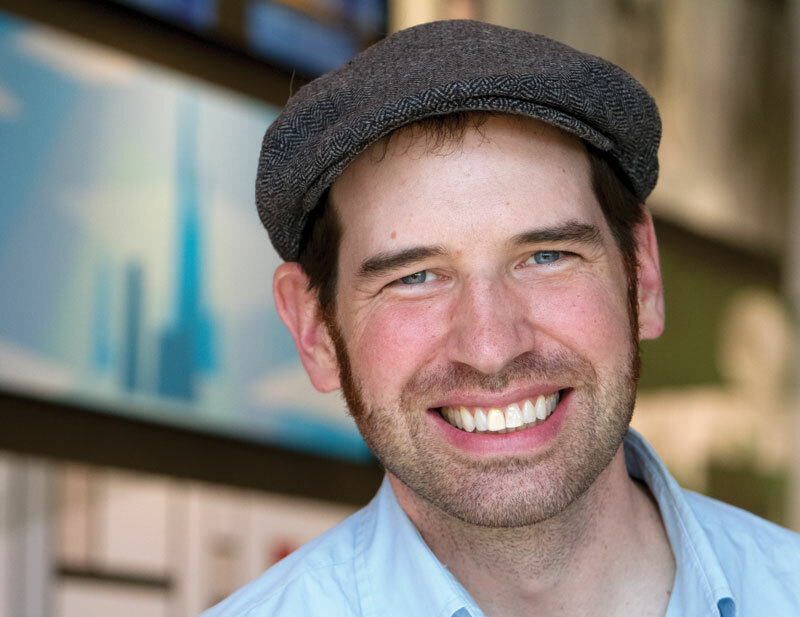 Jay Shuster was hired at Pixar Animation Studios in 2002, and started working as a concept designer on an array of what are now regarded as iconic films, among them the Cars and Incredibles franchises, WALL-E, and Inside Out. He says his fascination with a wide array of characters and mechanized vehicles began years before, as a kid growing up in the early 1970s on Madison Street in Birmingham’s Poppleton Park neighborhood. Not surprisingly, so did their offspring. “It was a very quiet house,” Shuster recalls. “Each of us kids was doing our own thing. My brother was into music, my sister was into fashion design, and then I was doing my sci-fi stuff. I just remember it being an ideal childhood that way, from the point of our parents letting their kids be as creative as possible. “It was never a battle to do what I wanted to do. And the house I grew up in had a trove of building stuff in the basement; train layouts … all different gauges. At one point our living room looked like an installation of what you’d find on the floor of the Henry Ford Museum — old rusted plows, farming implements of various scales and qualities, and crates of Legos all around. 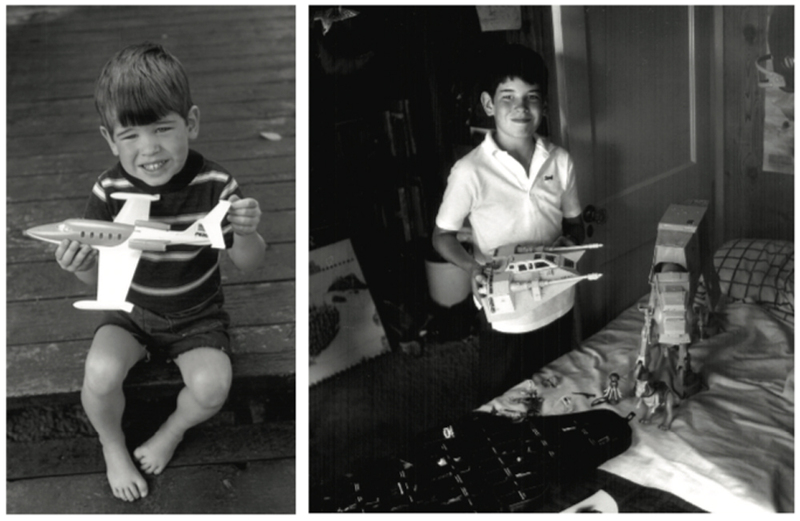 A milestone moment in Shuster’s life occurred in 1977, when he was just 6 years old and saw Star Wars: Episode IV – A New Hope. “I stood in line with a ton of other people, wrapping around the block to see this movie,” he recalls, “and it basically changed my life. I went back to see it six times that summer. That’s when I decided I wanted to do movies. The next critical moment on that path was at a GM open house, and the guys in the model shop had built a full-scale R2-D2. Birmingham native Jay Shuster’s artistic talents propelled him to California, where he worked with Industrial Light & Magic on the “Star Wars” saga. Today, he is a production designer with Pixar Animation Studios. 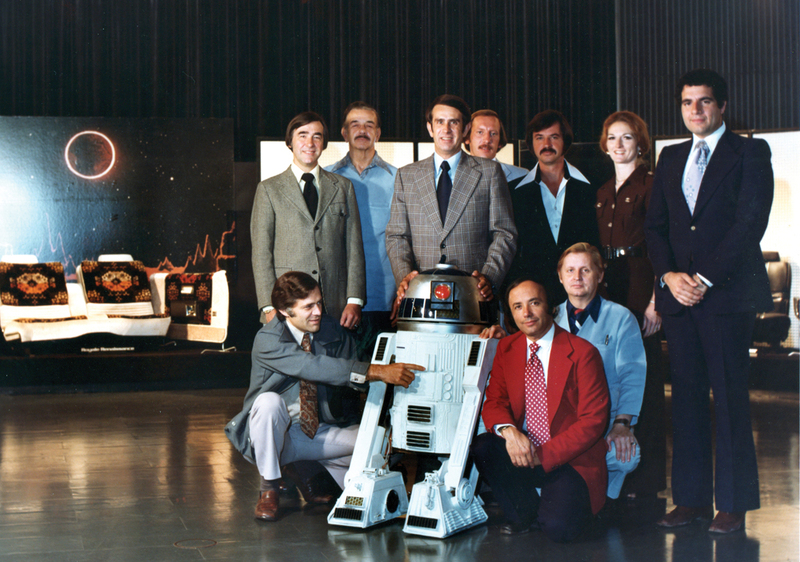 As a child, Shuster visited a model shop at General Motors Co. where a group of designers had created a replica of R2-D2. Turns out, he didn’t. The poster was so good that the judges of the contest didn’t believe a fifth-grader could possibly have created it without getting significant help from his parents, so instead Shuster got an honorable mention for his efforts. Soon after graduating from CCS, Shuster got his big break. “I did an illustration for the cover of a very popular computer graphics magazine, and that image was seen by a group of folks in Mountain View, Calif., at this video game place called Magic Edge. 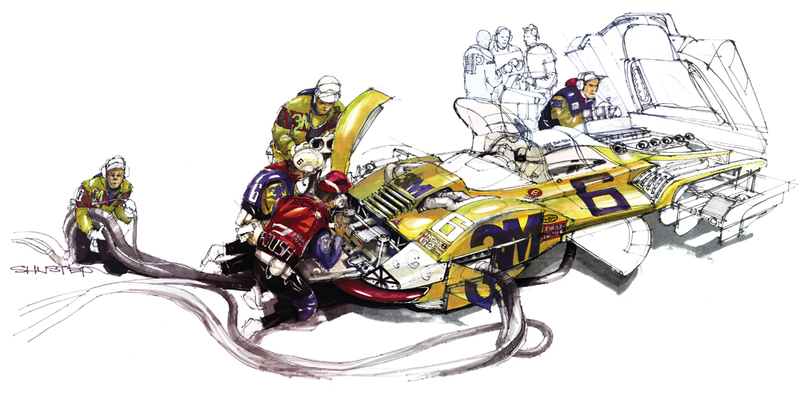 They were looking for a concept designer, and that was my step out West,” he says. 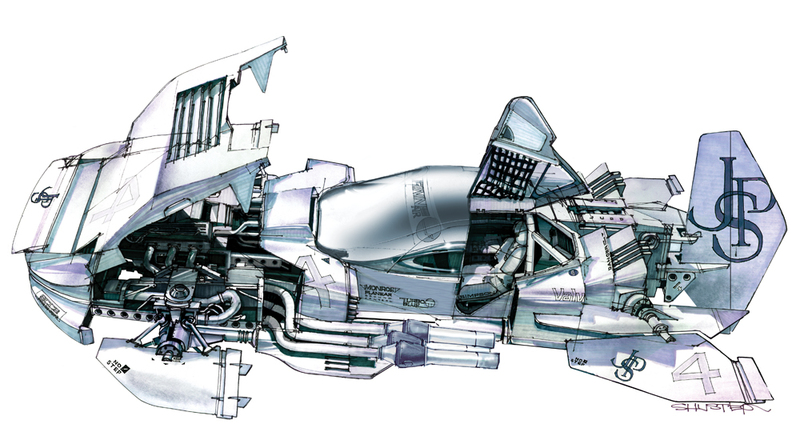 Shuster shows considerable skill in dreaming up and drawing spaceships while attending the College for Creative Studies in Detroit. When he landed at his next job, at Pixar, his creative focus switched: Instead of catering to the whims and demands of one individual, the creative process at Pixar is much more collaborative. 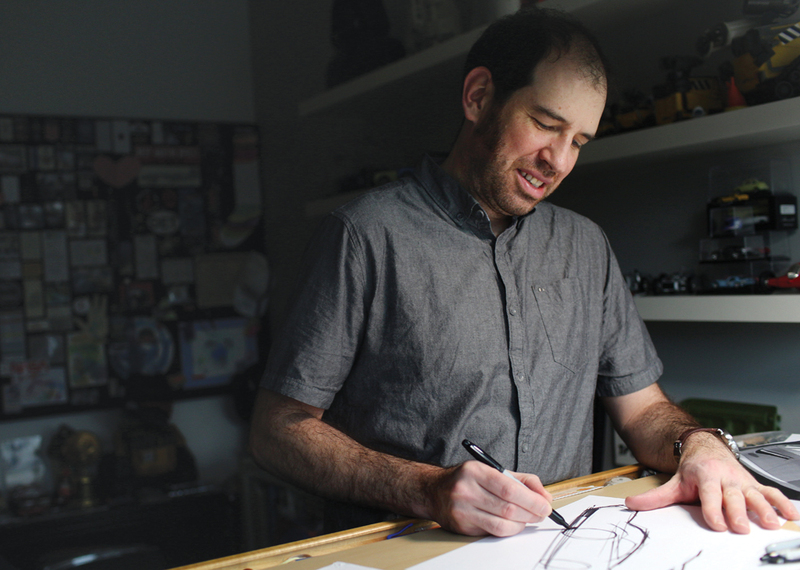 And where, exactly, does the 48-year-old Shuster get the ideas that become the images, characters, and vehicles of Pixar’s award-winning films? “From just about anywhere,” he says, laughing. “You gotta be a sponge, and to a fault. Sometimes people catch me staring at something off in the distance and ask what I’m doing, and I’ll just say something random and take that image I just saw and plug it into what I was working on that day. At Pixar Animation Studios, he’s worked on a number of films, including the Cars and The Incredibles franchises, WALL-E and Inside Out. He credits the manufacturing prowness of Detroit as a major design inspiration. Among the many bonds that Shuster has with Detroit, perhaps most compelling of all is the fact that his father still lives in the home where Jay grew up.